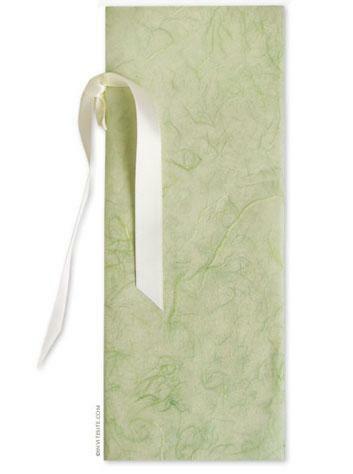 Print your ceremony information on 105 lb 100% post-consumer recycled milkweed paper (standard 8.5x11 inches). Inside Sheets Can Also Be Printed On Both Sides. Bound with a length of ivory double face satin ribbon. We allocate 1 yard (36 inches) per program.